Refresh your skin with white essence brightening toning mist. Enriched with gentle plant extracts for maximum hydration and effectively removes skin blemishes, scars and lighten the skin with continued use. 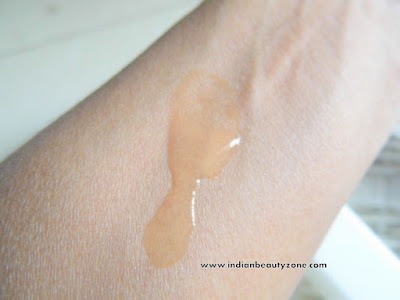 It comes in a unique formula that makes the skin look fairer, brighter, younger and supple. Aloe barbadensis (Aloe Vera), Malaleuca Alternifolia (Tea Tree Oil), Allantoin, Vitis vinifera(grape seed), Glycyrrhiza glabra(licorice), Saffron extract(Crocus sativas), Daucus carota (carrot extract), Centella Asiatica (Ghotukola), Base q.s. The toner comes in a sturdy plastic long bottle with a spray dispenser with a transparent lid. It is completely travel and user friendly. 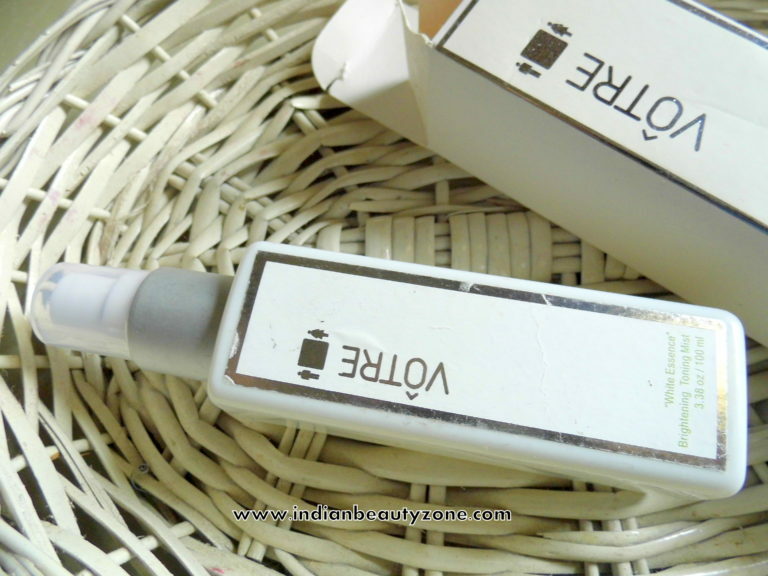 The toner is a colourless liquid and the texture is non oily and light weight. It smells bit weird, I cannot tell it is pleasant, but manageable fragrance. I won't use toners much, but I am suppose to use it regularly because I have oily skin with bit visible pores near my nose. Most of the toners won't suit for my oily sensitive skin. I have used plain rose water as a toner few years back which is only a suitable liquid for me to apply. I was skeptical to use this toner whether it suits me or not, but to my surprise it suited well and didn't cause any allergy. I use to apply it after washing my face. I just spray it on my face by closing my eyes and then pat it to dry. It got completely absorbed into the skin well within few seconds and leaves the face fresh and smooth. It delivers a subtle glow on the cheeks too, it never leave my face oily and controls oiliness well. 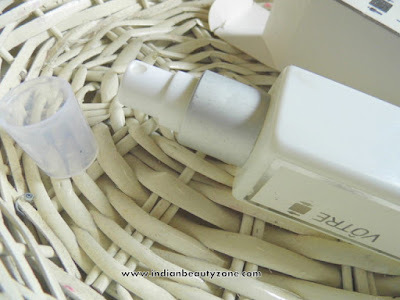 I saw that my face got bright day by day after using this toner regularly. 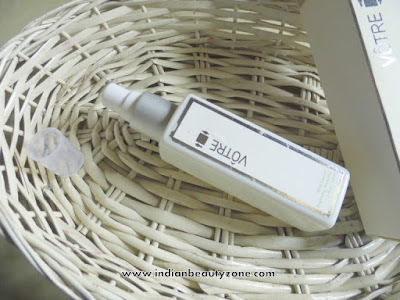 The toner really kept my face fresh and no oiliness for long hour during summer. It may make the very dry skin stretchy, but a good moisturizing lotion will solve it, if you really interested in this toner. I got really addicted to this toner but the price keeping me to think twice to buy it again. I wish the brand introduce 50 ml bottle for affordable price to buy again and again. 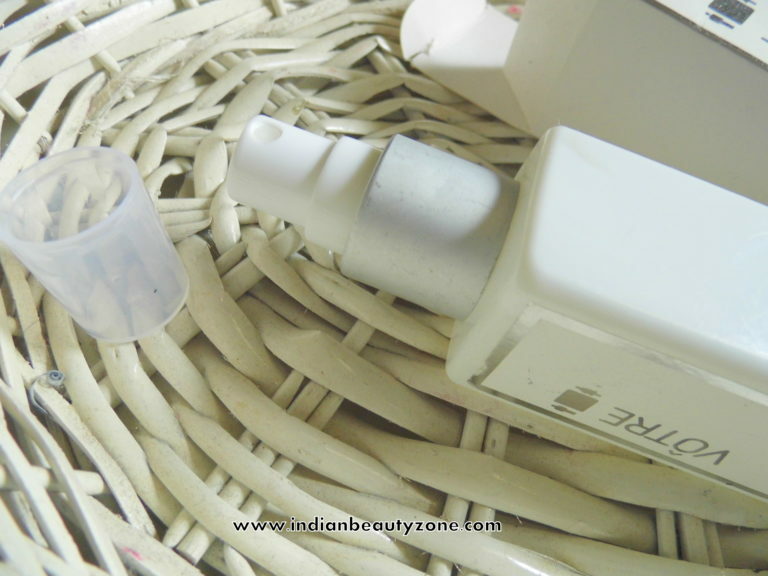 It brightens the skin by regular use. It doesn't dry out oily skin. 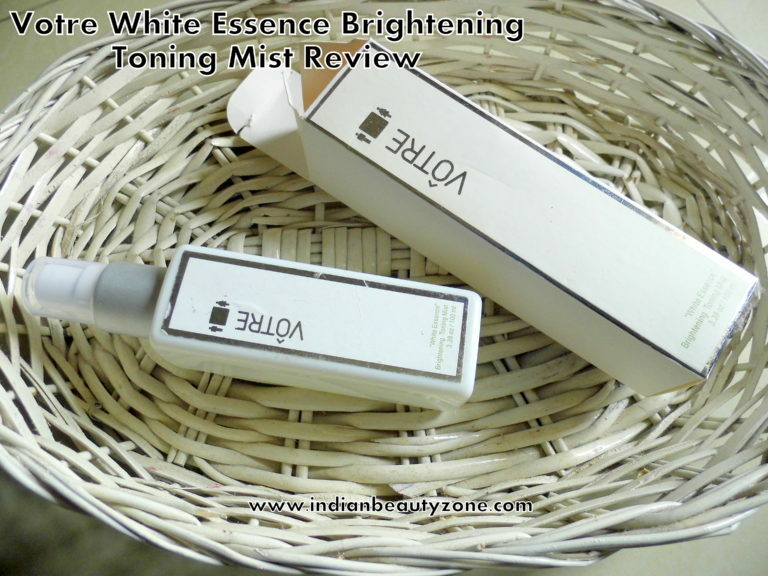 Votre White Essence Brightening Toning Mist is really effective product and does what it claims. So, girls if you want a product that something really works for your skin and you are ready to splurge money then you must buy this toner.